If you’re thinking of buying a boat or new engine, here are some basics to help you make your decision between petrol and diesel engines. The marine diesel engine is certainly nothing new; its roots go back to the early 1900s when they were used to power ships and submarines. Early diesel engines were considered a logical replacement for steam engines. 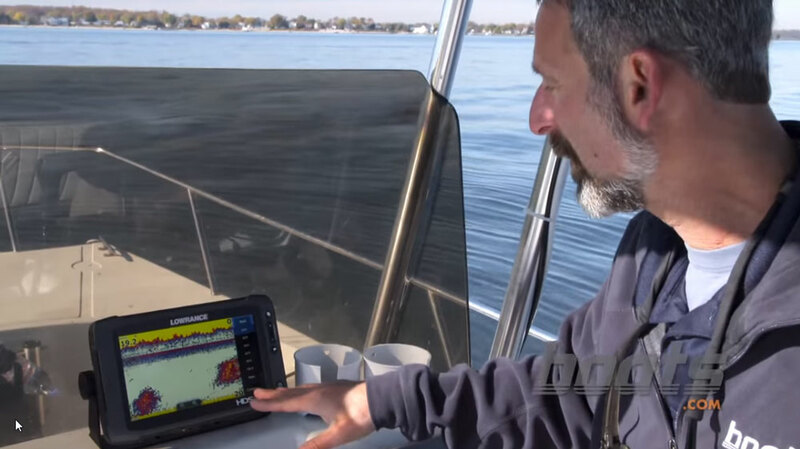 What are the key characteristics of a marine diesel engine? Combustion from high cylinder pressure and heat, not spark. Better energy extraction from fuel than petrol engines. Heavier than similar-power petrol engines. More expensive than equivalent petrol engines. Turbocharged diesel models are lighter. 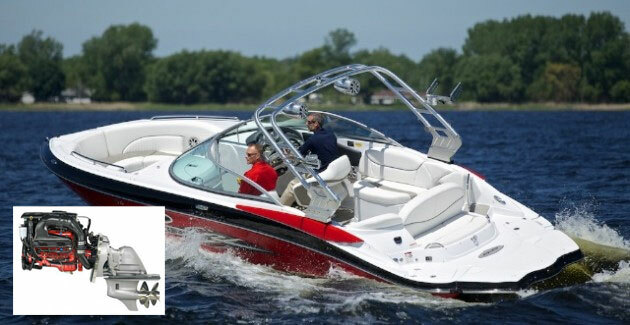 The Yanmar 6LY 400/440 is a modern turbocharged marine diesel in the company’s Powerboat Engines series. Photo courtesy of Yanmar. Of all the commonly used engines available today, the diesel has the highest thermal efficiency, meaning its ability to extract energy from its fuel. This of course equates to overall engine efficiency. This very fact probably explains why, according to a UK survey, 50 per cent of the cars sold in the European Union are diesel-powered: Fuel prices are extremely high in the EU compared the US. One gallon of low-sulphur diesel fuel has 113 per cent of the energy of one gallon of gasoline. For biodiesel at a 20 per cent blend, diesel still beats petrol, packing 109 per cent of petrol’s energy. Why are diesels so much more thermally efficient than their petrol-fueled counterparts? The answer lies in the differences between how diesels and gasoline engines operate. Gasoline engines are sometimes referred to as “spark-ignition” engines, as opposed to diesels, which are “compression-ignition” engines. 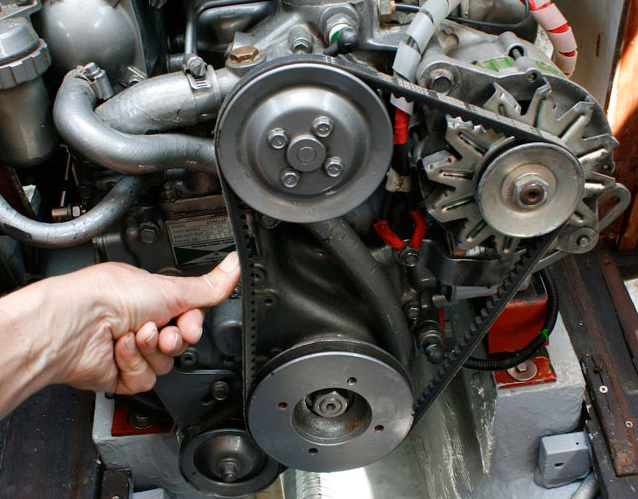 This description identifies one of the primary differences between petrol and diesel engines. Instead of using a spark to ignite fuel, a diesel engine creates enough pressure in its cylinders to heat the fuel to the point of ignition, with the atomised diesel fuel getting injected directly into each cylinder at just the right time. The auto-ignition temperature for diesel fuel is about 600°F, so the pressure within each cylinder must be high enough to produce that temperature to ignite the fuel and begin the combustion process. In practice, the actual temperatures achieved will be more in the 700°F-plus range. This illustration shows the sequence in what’s referred to as the “four-stroke cycle” in a gasoline engine. In a diesel four-stroke cycle, the spark plug is replaced with a high-pressure fuel injector that sprays atomised fuel into the cylinder at a specified time just between the compression and the power stroke. Another advantage of the diesel engine is introduced with these facts: No spark plugs or ignition system are needed on the diesel, eliminating one of the maintenance and potential reliability issues long associated with petrol-fueled engines. There are trade-offs however. To achieve the pressure needed to generate enough heat to auto-ignite the diesel fuel, diesel engines must run at much higher compression ratios than gasoline engines, on the order of 15:1 to over 20:1. vs. 8:1 to around 10:1 for petrol-fueled engines. This means that the diesel engine needs to be built much stronger than a petrol engine to withstand the extreme pressures involved. Unfortunately, this added strength most often equates to larger, heavier engine parts and the weight that goes with these heavy-duty components. The disparity in weight is changing as technology moves ahead though. 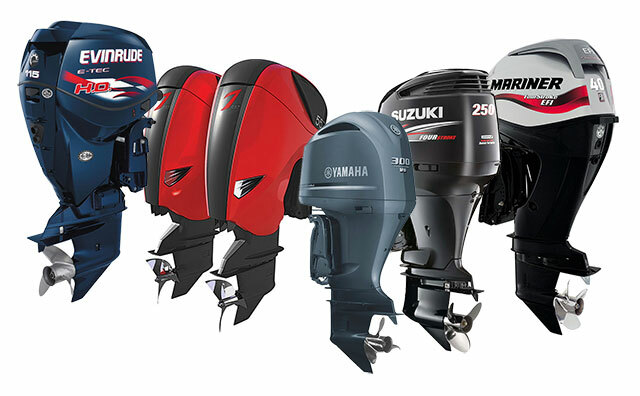 A check of current models from Yanmar and Mercruiser is telling. 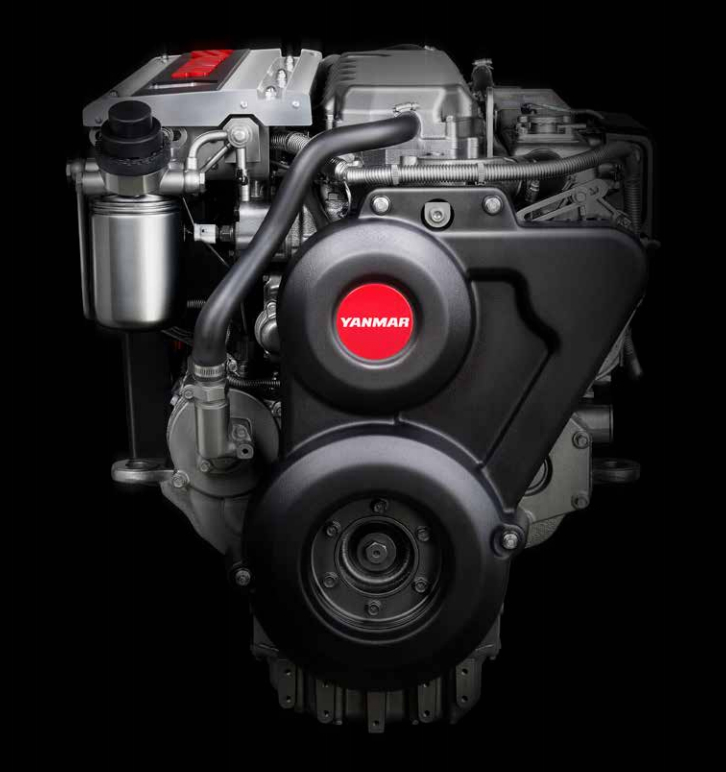 Using 350 HP as a basis, a current Yanmar V-8 diesel weighs in at 960 lbs. A 350 HP Mercruiser petrol engine weighs in at 862 lbs. That’s only a 98-lb. difference. Application of stronger but lighter materials and improvements in overall efficiency can account for enhanced power-to-weight ratios. Turbocharging, for example, improves what is known in the engine world as “volumetric efficiency.” Additionally, some of the overall efficiency loss in any engine goes out the exhaust. This is regained somewhat by using exhaust gas to power the turbocharger. Turbochargers add power to an engine by making use of its exhaust gases. That extra power enables engine makers to reduce engine size and weight, and increase fuel efficiency. 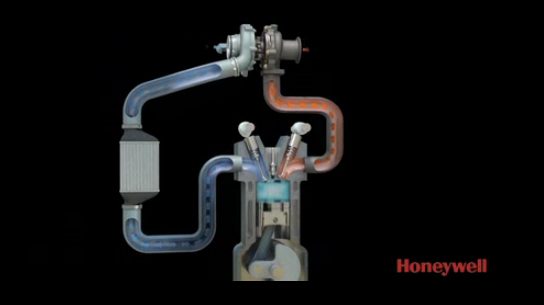 This video shows how a turbo works. Video courtesy of Honeywell. Engines without superchargers or turbochargers will always run at less than 100 per cent volumetric efficiency, whereas a supercharged or (more commonly today) turbocharged engine will run at over 100 per cent efficiency in terms of the amount of air that gets squeezed into the combustion chamber on each intake stroke. This increased air volume, matched with more precise fuel injection and enhanced atomisation of the fuel in today’s extremely high pressure common-rail injection systems, enables the engine makers to get more power and reduced emissions out of their engines. So, with enhanced power-to-weight ratios, smaller engines can be used to achieve the same levels of power that 20 years ago meant a much higher disparity in weight between a petrol vs. diesel engine. ● M1: For propulsion applications that may operate up to 24 hours a day at uninterrupted full power. These applications typically operate over 3,000 hours / year. Keep in mind that John Deere is known more for commercial and industrial applications than for recreational engines, but these ratings give an idea of what kinds of service life their diesels are designed for. Most recreational diesels would probably fall within Deere’s M4 or M5 rating definitions. 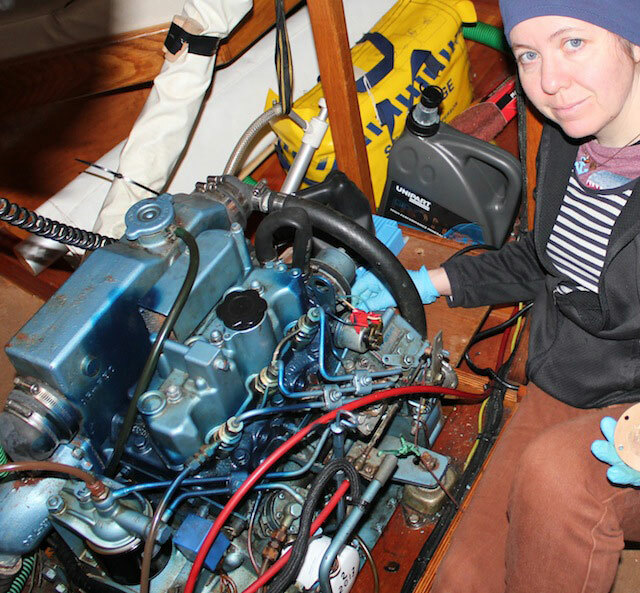 All marine engine suppliers should be able to provide similar ratings for a given engine, via their “duty-cycle” rating classification system. Their terminology may vary, but all manufacturers use the same determinants to classify each rating: load factor, typical operational hours per year, and typical full-power operation hours. These ratings should be applied according to how the vessel operates, its type and design, and the anticipated power demands of the engine. 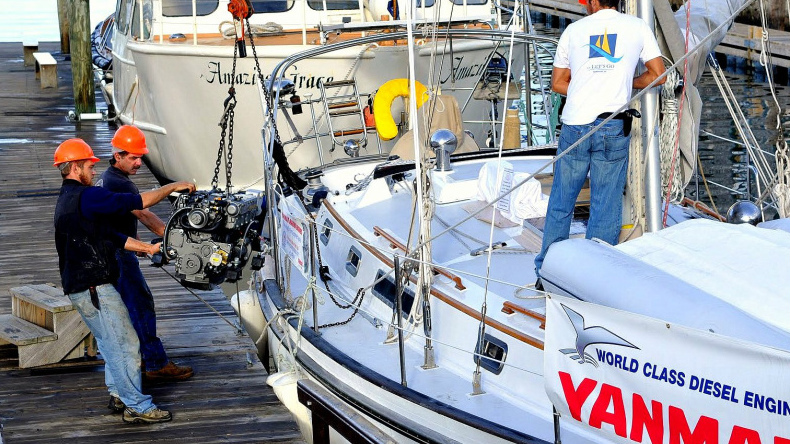 Sailing yacht owners often replace their original petrol engines or older diesels with smaller, lighter modern diesels. Photo courtesy of Oldport Marine Services. In heavy-duty commercial situations there will likely be some trade-offs between lighter, turbocharged diesel engines and heavier “naturally aspirated” diesels without turbos in terms of potential long-term engine life. 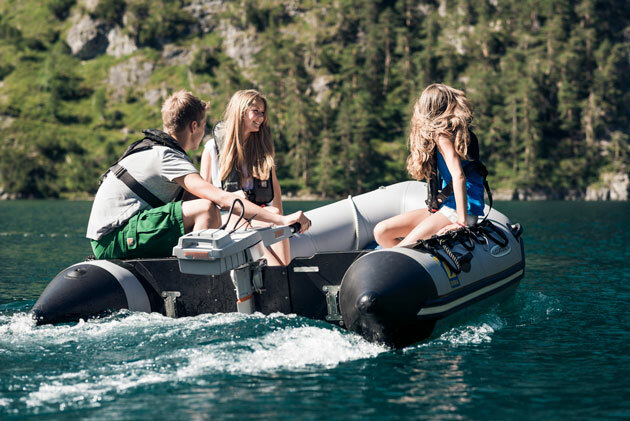 That said, average recreational boaters aren’t ever likely to know the difference — they just don’t use their boats frequently enough to accumulate the hours needed for this to be a significant concern. 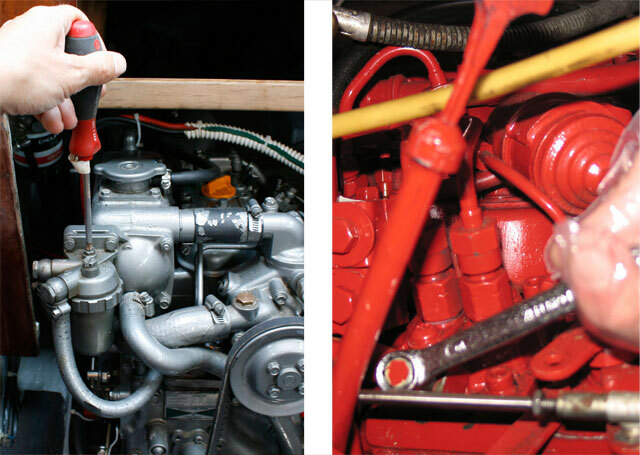 Read about solving your diesel engine problems, diesel engine overheating and charging and tips for keeping your diesel engine running smoothly.